Fill out the short registration for HERE and then you will be prompted to take a quick survey about cell phones to earn $20 in rewards. 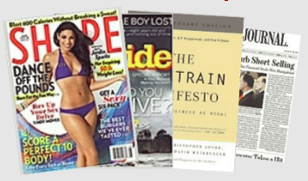 You can use those rewards dollars to score a magazine subscription of your choice such as: Shape, Inc., Fast Money, Latina, PC World, Men’s Fitness and Wine Spectator. Grab $3 more in rewards per friend you suggest to Reward Survey HERE to grab more “expensive” magazine subscriptions such as ESPN, Forbes and The Wall Street Journal!